Street style turned high fashion through the vision of the artists at Framesi. 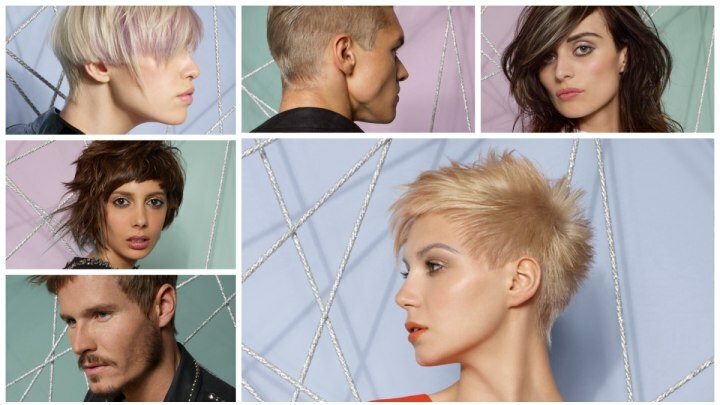 With asymmetrical shapes, daring texture and many plays on lengths and colors, this hairstyles collection captures the heart of modern hair. Bold and edgy, but not without softness and charm, this party of six covers the main trends with passion and an innovative approach. If you are looking for a haircut that is not like any other, take a pick from Framesi's High Vision. A burst of star shine is reflected by the texture that flares out from one center high on the side. The hair is arranged in a circle around it, pointing in all directions. From the back it becomes longer towards the front without any disruption and the outline has been drawn with a detailed plan for a clear shape. The play of order and chaos is just thrilling. 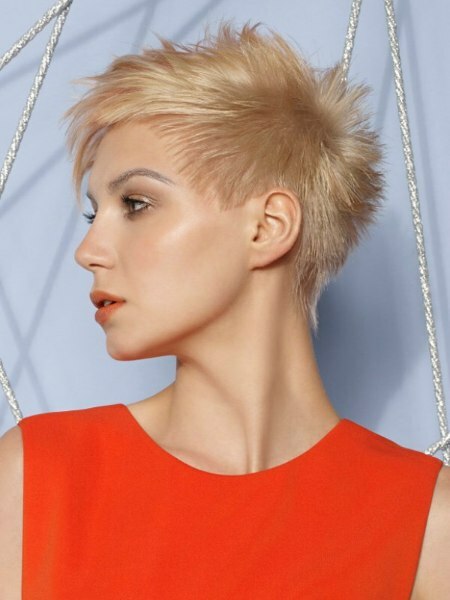 The hair color is a baby beige blond that brings much softness to the edgy short haircut. The bangs are long and beautifully jagged. Elongated strands jut out over the soft edge of this short cut with its clipped and graduated neck and long, full bangs. This surprise element adds a soft touch and an organic flair to the geometric base cut. The unique character is taken further even with the coloring. Strands of intense lavender were created between layers of the soft, sandy blonde. They accentuate the bangs and the sides and reveal a changing pattern with different stylings of movement of the hair. There is much room to play with shapes and energies. 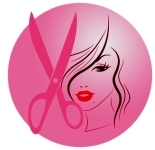 A great touch is to cut the longer strands on each side at different lengths. A vision of a highly energized cut lead to this creation featuring several textures, lengths and density. The hair closer to the head is full and rounded with a curved, short fringe. On top are layers, asymmetrical lengths, intense texture and a styling that lets the short hair stand and flow in different directions. To complete the visual feast a touch of light blue was added to the ends of the long, spidery strands her lower right side. 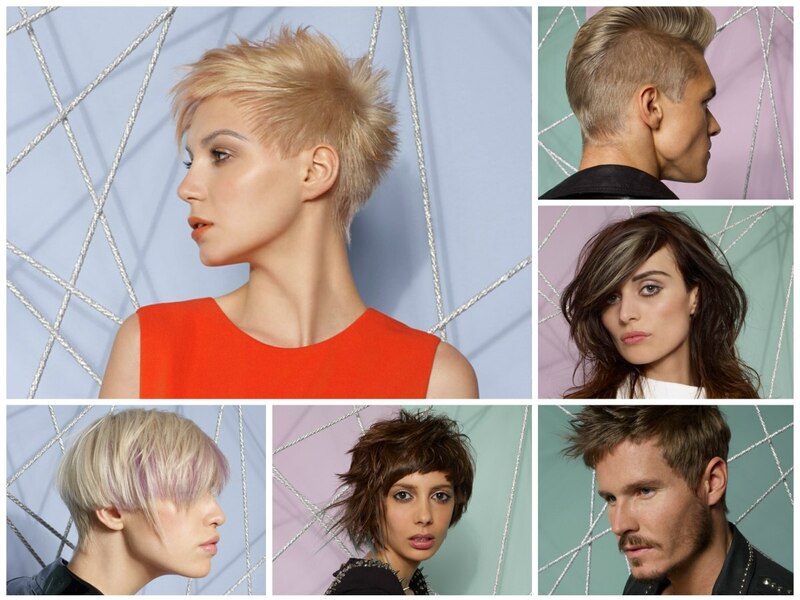 Hair can be sculpted with products and tools but also with color. Light and dark areas, cool and warm shades create much visual interest and shadows so that the hair takes on new dimensions and shapes are increased, depth is created and individual sections are enhanced. All of this is going on in this long hairstyle with fine layers. Cool colors, light and dark, dominate the upper third and then transition to a warmer blondish brown below her chin. 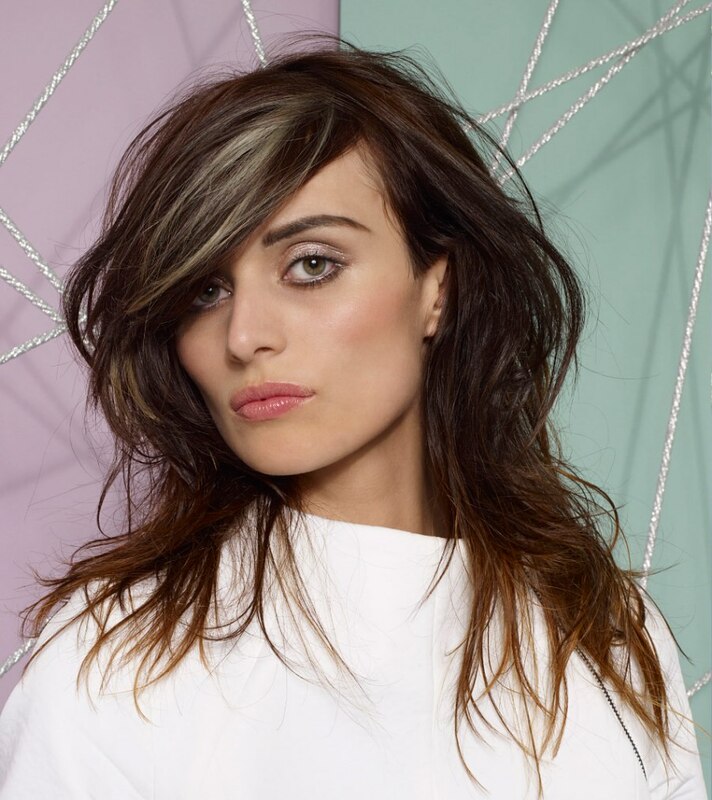 The heavy movement of the bangs gets a kick with the transparent streaks of platinum blonde. Abstract art with hair as the canvas. A genius mix of two styles that only seem to be opposites at first thought. The Mohawk and the quiff are both looks that defined rebellion in a certain decade, yet they were about 30 years apart. 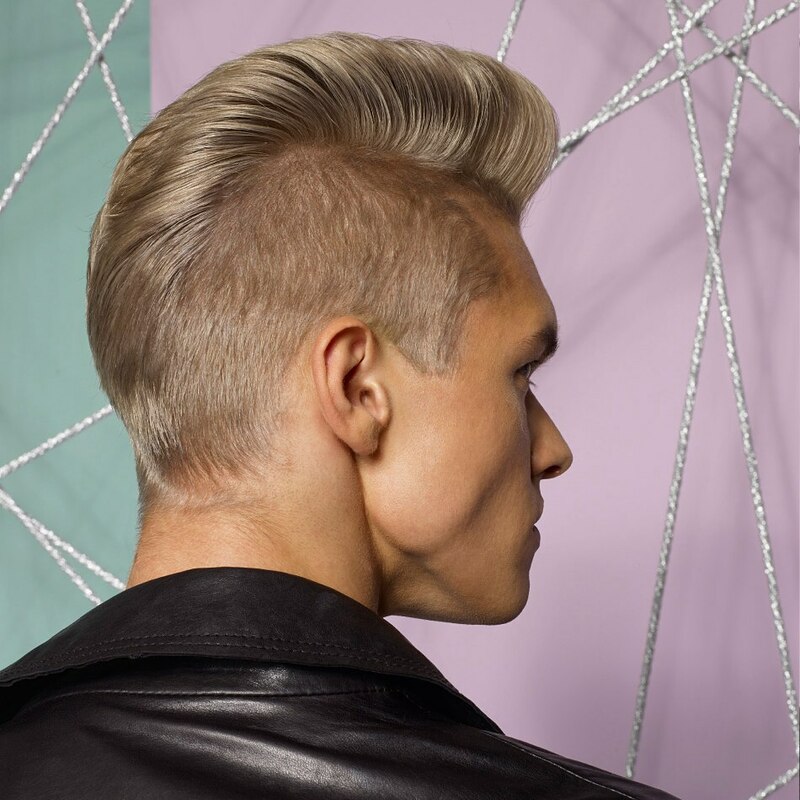 Now the punky Mohawk lost its spiky edge and the 50s quiff reaches from the forehead all the way down his nape and we have to say it is the perfect pairing of two great styles. 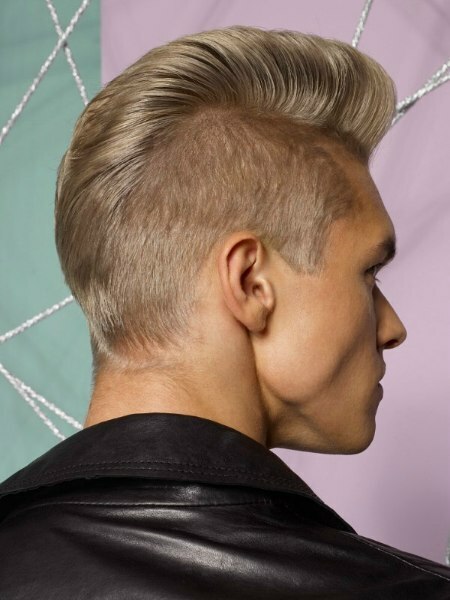 Soft and stylish with razor short sides it is the new look of coolness. Very often a beard and a haircut are just made for each other and together define the style of the men who wear them. 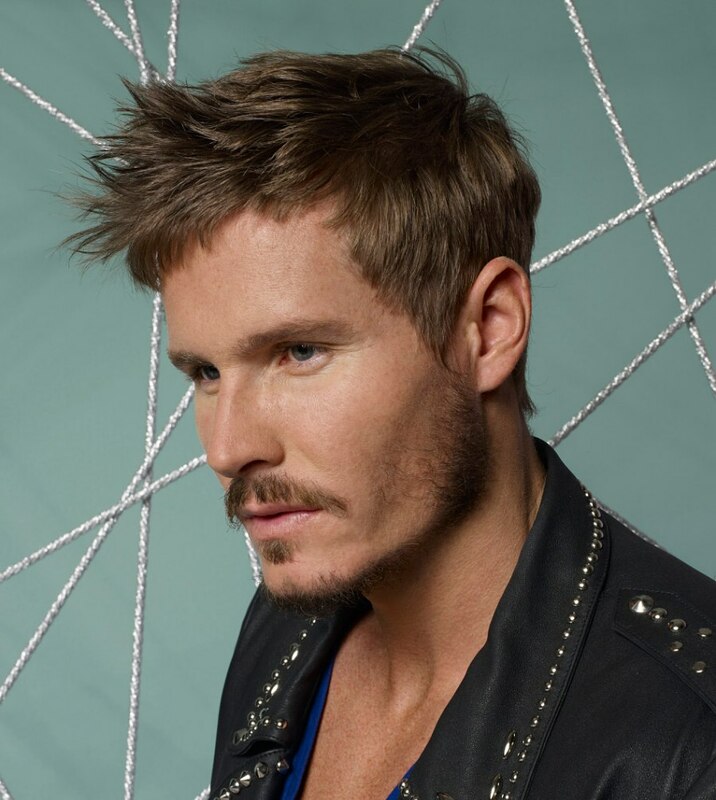 A short cut with longer top hair, heavy texture and upward styling is combined with a mustache - goatee style and some fuzz around the edges. Bohemian, dazzling and manly all at once this combo could be dangerous. Especially with the tousled top hair, a little highlighted accent color and this studded leather jacket.